A magnificent walk of around 5-10 kilometers in which we can visit the Retiro Park, one of the main lungs of the Spanish capital, or we can visit the area of Madrid Rio, reaching the historic Templo de Debod. A route that allows us to do some healthy exercise while we enjoy the beautiful green areas of the city. Our bike tour of 1 hour departs from the Ensegway Madrid office at Street Union number 4, near the Opera Underground station, in the city center. 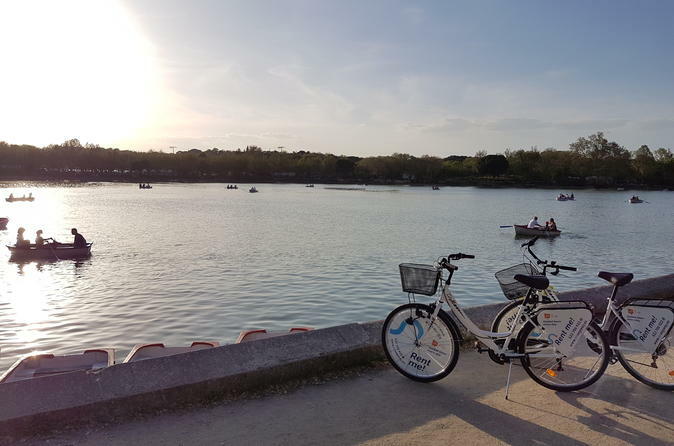 This tour is a magnificent bike ride of around 5-10 kilometers in which we can visit the Retiro Park, one of the main lungs of the Spanish capital, or we can visit the area of Madrid Rio, reaching the historic Templo de Debod. A route that allows us to do some healthy exercise while we enjoy the beautiful green areas of the city.